Rainbow is a non-profit, character building, service oriented organization. The main goal is to help its members become more than they dreamed possible. Involvement in Rainbow teaches girls three basic virtues: to have faith in a Supreme Being, other people and themselves; to have hope in all that they do; and to be charitable, to live a life of service is the most rewarding life of all. 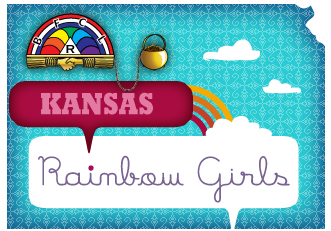 Rainbow is open to girls between the ages of 11 and 20, regardless of race, creed, color, religion or national origin. You can be assured that the values promoted by Rainbow are strong and basic to many beliefs. 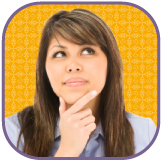 In today's world, people are apprehensive about any activity that may be considered "secret." Rainbow does have some closed meetings that only members attend. This is similar to sororities that bring groups of women together, but also have closed meetings. Rainbow is different - it allows not only members, but also members' parents, grandparents and legal guardians to attend those meetings. These individuals are welcomed and encouraged to participate in meetings and in other activities. They are also encouraged to serve on Adult Advisory Boards. Nothing in Rainbow - meetings or activities - will ever be contrary to basic Christian teachings. You do not have to be Christian to be a member, but you can be assured that the values promoted by Rainbow are strong and basic to many religions. No actions will ever be required of members that would be against their personal beliefs or the instructions of church or home. In fact, members are encouraged to be loyal to their church and home. Members are never asked to make pledges or participate in activities that would be contrary to their moral values or make them feel uncomfortable. The International Order of the Rainbow for Girls has been a vital part of the lives of young women since its founding in 1922 by Reverend W. Mark Sexson. Rainbow is an active organization throughout the United States and in Aruba, Queensland and New South Wales in Australia, Bolivia, Brazil, Canada, Germany, Italy, Japan, and the Philippines. Rainbow does have a "dress code" that applies to all Members and adults whether attending a local, state or international event, or when representing Rainbow elsewhere. The Rainbow dress code specifies formal dresses for certain meetings and church-like attire for other meetings. Rainbow Girls learn how to present themselves with grace and poise by following this dress code. Most fun activities are casual. When representing Rainbow in a group the dress should be tasteful and appropriate for the event. The script for the formal meetings and open ceremonies of Rainbow can be found in a book called the "Ritual." When a member holds an office in the local Assembly she has joined, she learns her station's lecture (or lesson) from the Ritual, or as sometimes called, the book of ceremonies. By presenting a memorized lecture, Rainbow Girls learn about public speaking and leadership. The Ritual contains Rainbow's teachings based on right living and thinking.